We're offering Tatty Devine fans in the USA the chance to get crafty with our latest competition in partnership with Penguin US to celebrate the US launch of our book, How to Make Jewelry with Tatty Devine. The best part? You don't even have to leave your desk! All you need is your imagination and your lunch box... How to enter? Simply craft your best piece of edible jewellery and tweet it to us at @tattydevine with the hashtag #TattyTuesdays. Yes, we really are giving you license to play with your food in the pursuit of fashion! 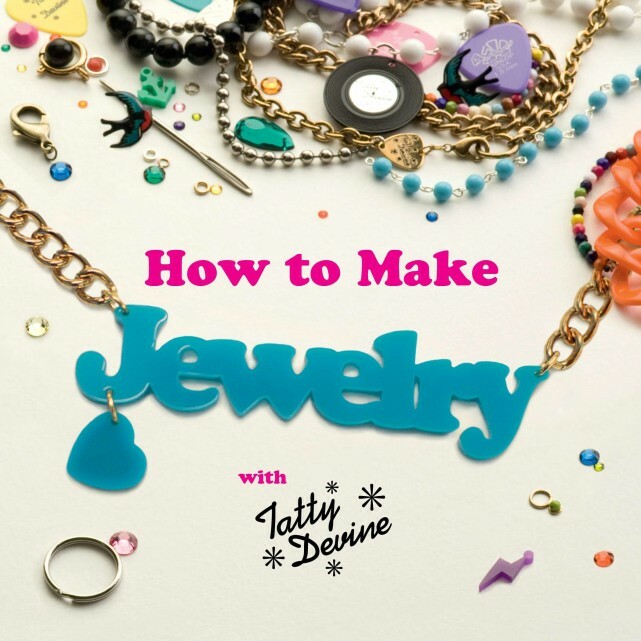 Our lucky winners will receive a Tatty Devine prize pack, including a copy of How to Make Jewelry with Tatty Devine and a piece of Tatty Devine jewellery. All winners will be picked at random. Good luck!